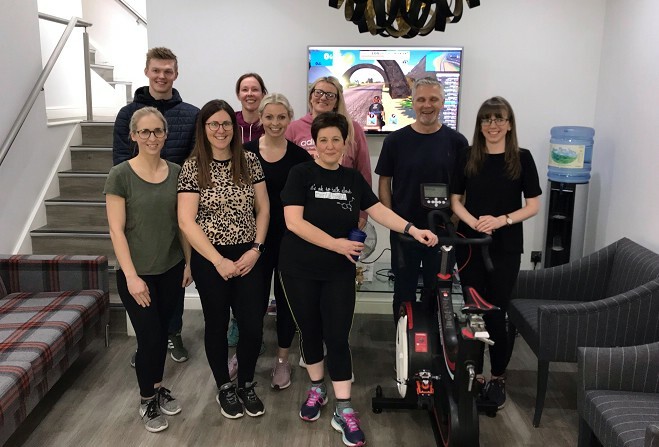 Table football, crazy golf and basketball were among the series of office-themed challenges with participants completing the week with an epic 100-mile cycle challenge. Isle of Man professional cyclist Tom Mazzone brought a pro-exercise bike into the office as staff, collectively, cycled 100 miles and even managed to complete the distance with time to spare. The Manxman, who is supported by DQ, is behind a business venture which promotes cycling in a variety of ways, including organising corporate cycling days, arranging fundraising challenges, mentoring, workshops and one-to-one training sessions. It’s hoped the £300 raised will be used to provide more sporting activities at the charity’s headquarters, Centre 21 in Douglas. ← Ready for a break?